An old shophouse. A Joo Chiat Client. The passion to retain the charms of a historical place in Singapore. This shophouse is located along Joo Chiat Place, in a conservation shophouse district in the secondary settlement areas of Joo Chiat and Katong in Singapore. The conservation guidelines for this area require the front portion to be conserved and restored, while the rear portion can be redeveloped to a maximum of 4 storeys. For this stretch of shophouses, the guidelines require any new redevelopment to be converted for residential purposes. 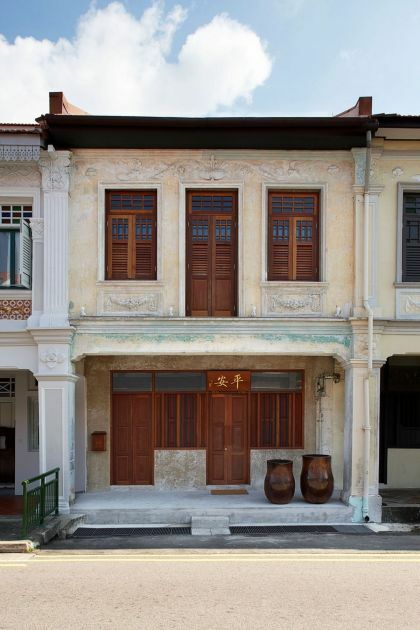 Built in the 1920s, this shophouse used to be a book shop called The Lucky Book Store. The ground floor was the retail area, while the upper level was partitioned for storage. 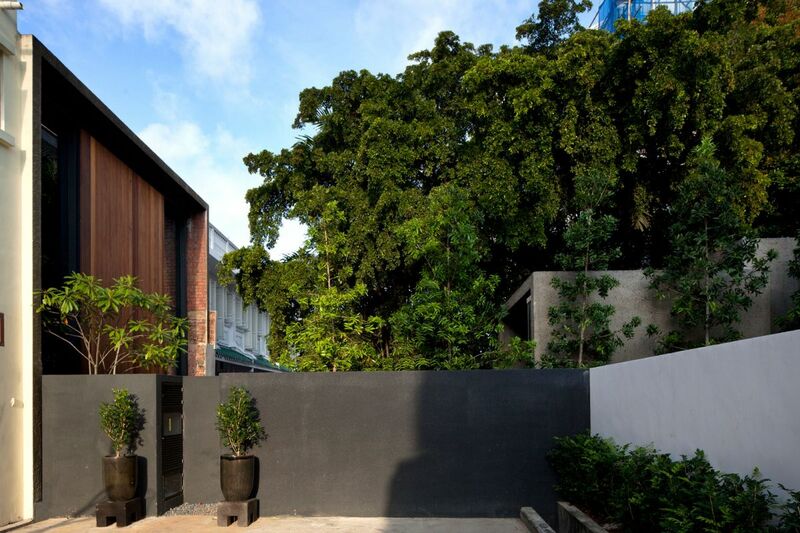 Behind this shophouse was a long, narrow concreted vacated land. Surrounded by 3 to 4-storey service apartments and semi-detached houses, a portion of its side faces a back lane, franked by houses on both sides. 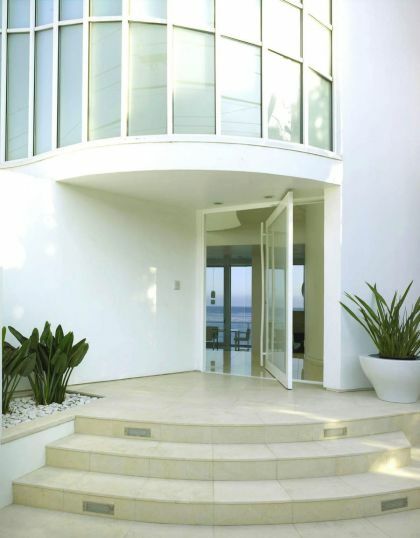 The Client are a couple, both having worked overseas and had plans to move back to Singapore. Both grew up in this Katong area and buying a shophouse in Joo Chiat was in many ways homecoming for them. 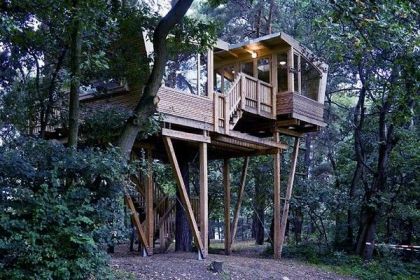 This is a site where they could see their childhood days relived. And so they purchased this shophouse, along with the rear vacant land. 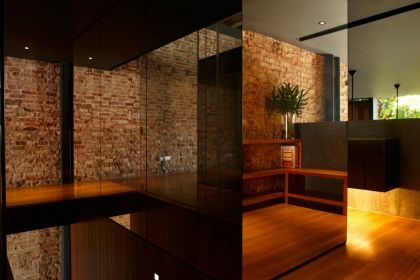 Together with their architect friend, the plan was to convert the shophouse into a dwelling place, and to transform the concrete land at the rear into a garden where a single-storey house extension sits. 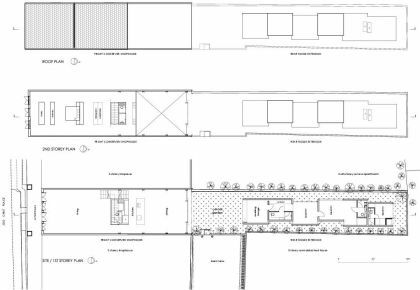 The brief called for a flexible communal space where their extended family members could gather and stay. 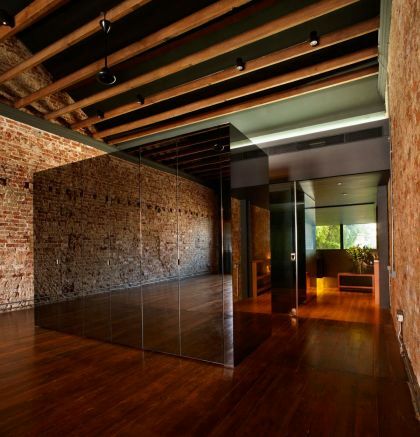 Conserving the front shophouse resembled working on an archaeological site. 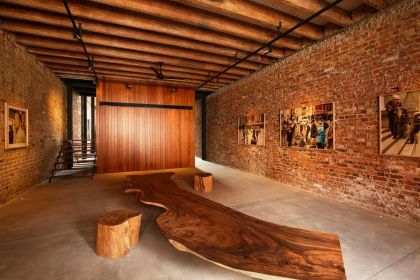 Part of the brief was to retain traces of the old shop; to rediscover, reveal, and protect the original structures, finishes, and detailing. Coincidently, the couple remembered patronizing the Lucky Book Store during their growing-up years, browsing through comics, buying music cassettes, and stocking up on cheap chewing gum. For the front façade, the multi-layered paint-coatings were carefully removed to reveal its original tone and colour, and protected with transparent sealers to prevent the surfaces from flaking. The fading signage ‘LUCKY BOOK STORE’, spotted on a front pillar, was retained as a reminder to what this place was. 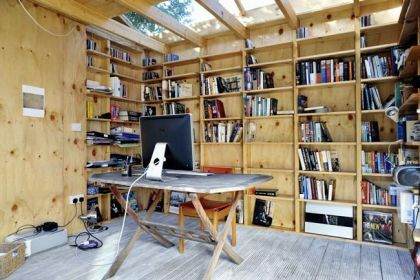 Internally, non-structural partitions were removed so that the spaces, the old brick walls, timber rafters and floor joists, can be better appreciated. These were carefully restored, cleaned and protected. 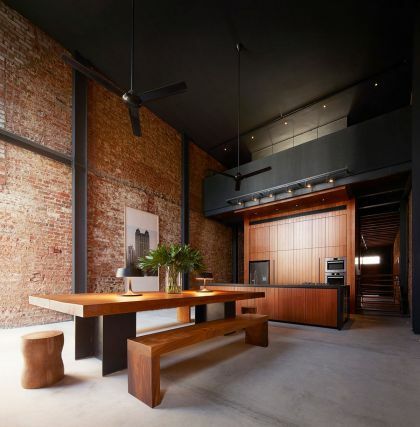 A row of cavities on the walls are left exposed to provide clues of how the spaces were once configured, indicative of floor joists supporting a mezzanine for additional storage space. Where new columns are added to support the extended roof over the dining area, these are detached from the surface of the brick walls. 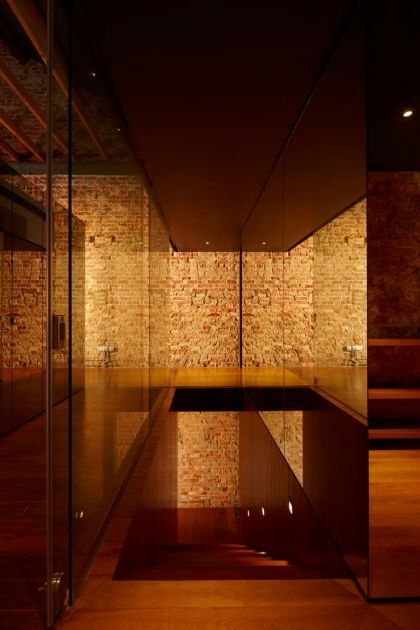 Interface between the old and new brick walls are made distinct to reveal the old party-wall profile. Fragments of the old boundary walls were also retained as a reference to the original site configuration. 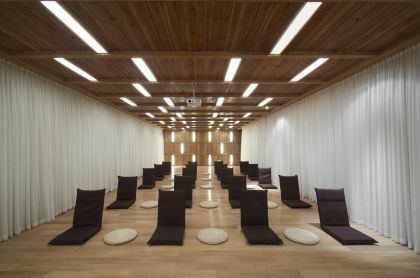 The overall layout is kept simple to cater for flexible space usage. Furniture, fittings and services are placed in a central axis. Progress through the house is always to the side rather than along the axis. 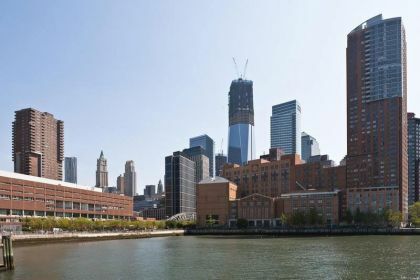 This frees the brick walls, and maintains clear vistas on both sides that run 55m (180 feet) to the rear. 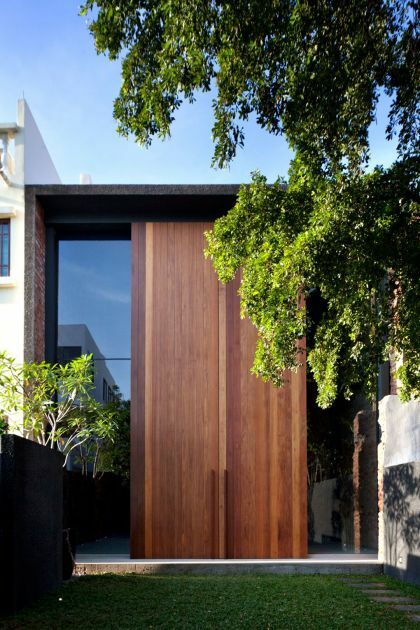 The existing height was kept, congruent with the neighbours’. 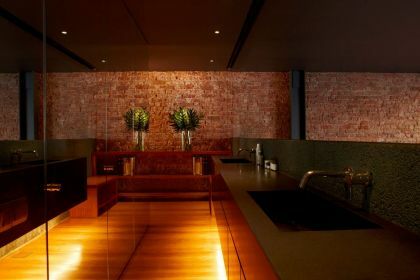 The original second-storey slab for a side passageway leading to a corner toilet was removed to create a double-volume dining space. This becomes the common, popular gathering space that visually connects the ground floor and the upper level, and it also opens out to the central garden space and overlooks the new rear house extension. 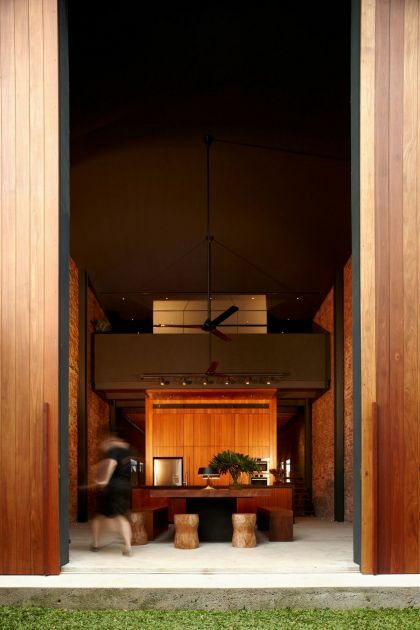 This framed view is through a pair of full-height timber sliding panels. 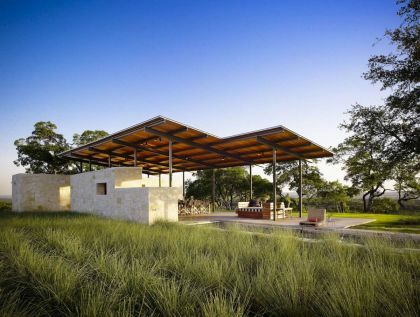 When open, the space extends into the outdoors. 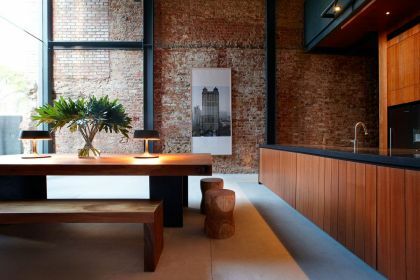 When closed, daylight washes the old brick walls, enhancing its textures and at the same time allowing the continuity of the vistas on two sides. Beyond the shophouse is the concreted land that faces a back lane. 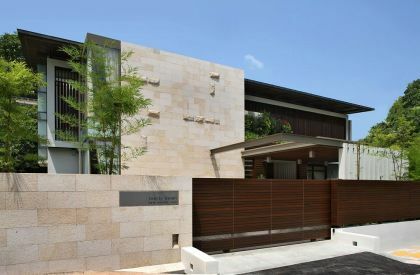 Instead of maximizing built-up areas, both the couple and architect felt the need to keep the end of this back lane visually unobstructed. 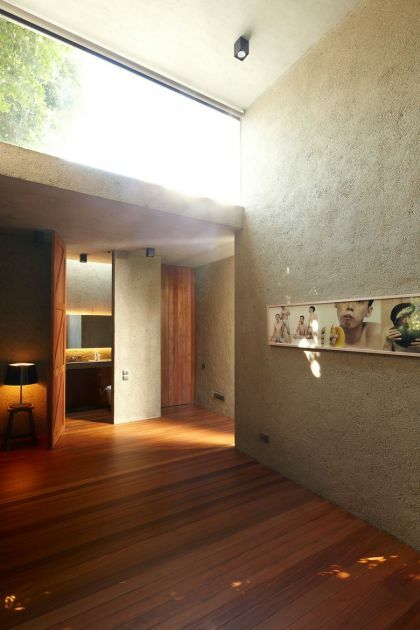 This leads to the creation of a central garden space, where the neighbours now enjoy a backdrop of green oasis. This central garden space extends to the rear where the new single-storey house sits. 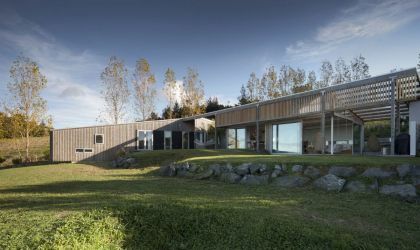 Essentially one-room thick, the decision to go low dense and to elevate its floor from the ground pleasantly increases the breathing and green spaces for this house and its surrounding. 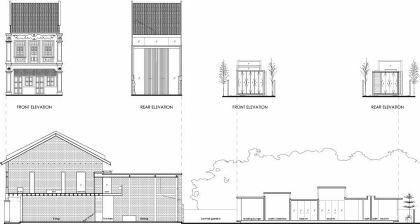 The planning guidelines for the rear house require a 1m setback from each side boundary. 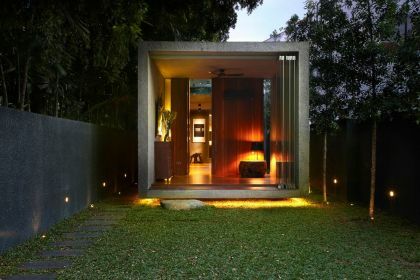 This had also prompted the layout of the front shophouse in such a way that the vistas always open up to the greeneries of the rear house. As the two side boundary walls are not parallel but tapered, a series of rooms are organized intermittently. These are staggered to optimise internal spaces, and the staggering creates vertical apertures for cross-ventilations, day-lighting, and access to the outdoor and greenery. 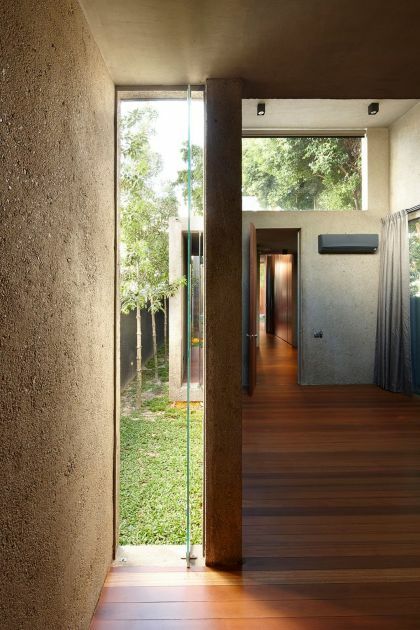 These openings replace the conventional windows that face the neighbour directly. 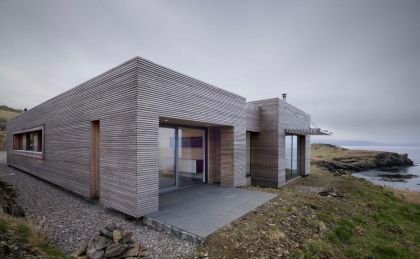 This helps to maintain privacy on both sides, and to avoid situations whereby windows are always closed with curtains drawn – not a very neighbourly sight. 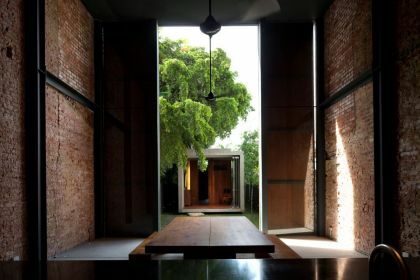 The enclosures of the rear house have a rustic finish made of stone aggregates to blend with its green setting, and to complement the timeless and rawness of the old brick walls of the front shophouse. The entire project was economically constructed. It responds to the local tropical climate with low energy consumption as the spaces are generally day-lit and naturally ventilated. 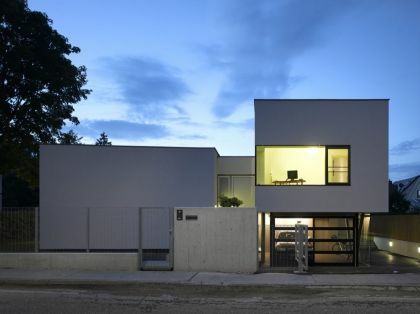 The final result brings back fond memories of the couple’s childhood days – the days of living in a community where homes were interconnected social spaces; of spaces that were simple and adaptive; and how the rituals of everyday life were enriched by architecture.